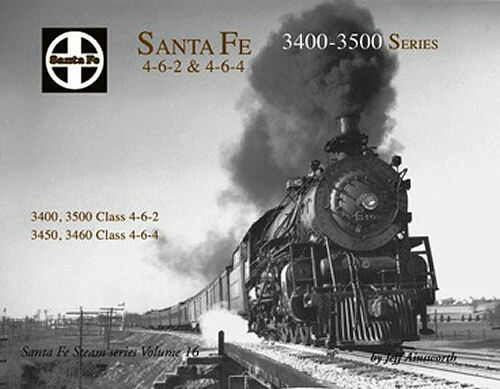 3400 and 3500 Series 4-6-2 and 4-6-4 locomotives. Roster and action photos from across 10 States on the Santa Fe System, including IL, IA, MO, KS, OK, TX, CO, NM, AZ and CA. Soft cover.